A local Pahrump artist has taken the reins of a venture that offers area residents or travelers to southern Nye County a chance to create their own “works of art” in just one short session. Jeffrey Meehan/Pahrump Richayne Jenkins, a Pahrump self-taught artist, bought a "paint and sip" venture in Pahrump. She leads a group of up to 30 the first Tuesday of each month at the clubhouse in the Mountain Falls subdivision at 5001 Clubhouse Drive. 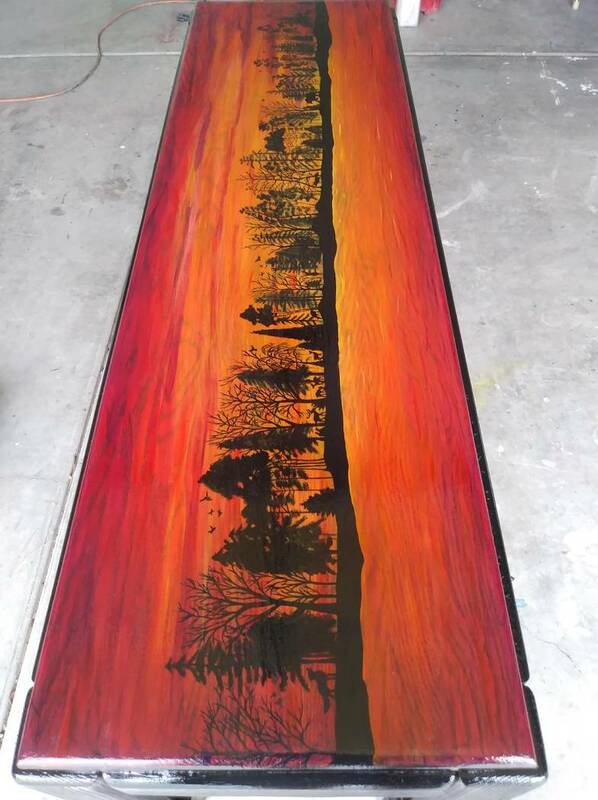 Remagine/Special to the Pahrump Valley Times Richayne Jenkins, a Pahrump self-taught artist, does piece work on painting furniture. She is booked until the end of June. 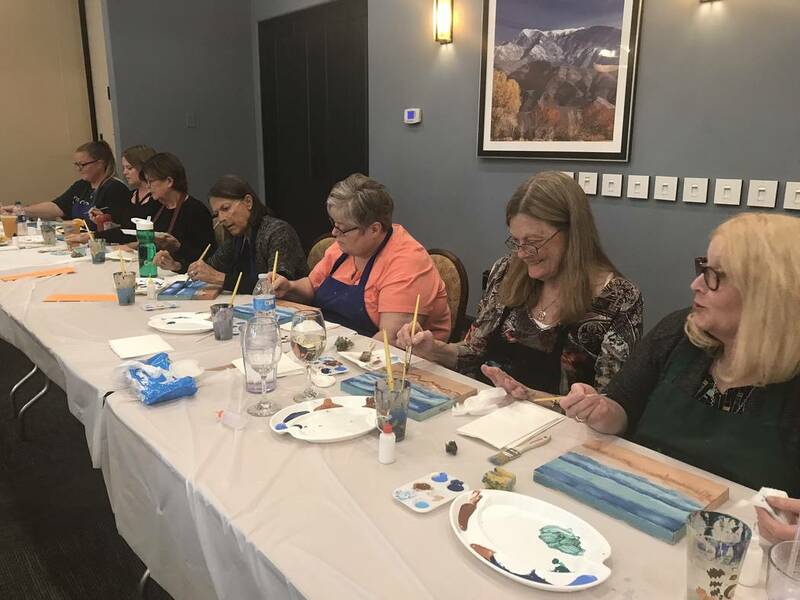 Jeffrey Meehan/Pahrump Valley Times A group of artists on all levels learns to paint "works of art" by a local artist at the Mountain Falls clubhouse at 5001 Clubhouse Drive. The "paint and sip" party can handle up to 30 attendees and is held on the first Tuesday of each month. Remagine/Special to the Pahrump Valley Times Pahrump artist Richayne Jenkins works on customizing furniture. She has brought in hundreds of dollars for one piece. 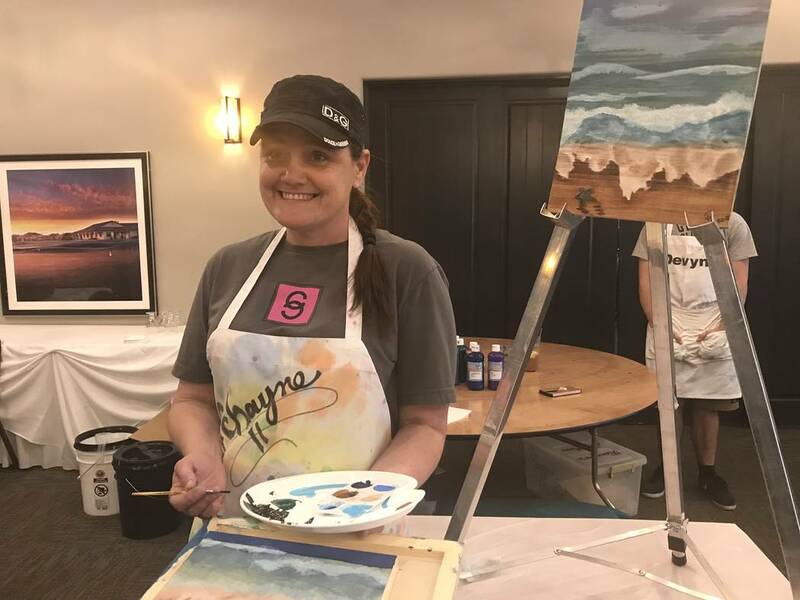 Richayne Jenkins, a self-taught artist in Pahrump, is just getting things started in a venture she purchased that has helped non-artists create a variety of artworks. The venture, previously known as Paint Drips and Sips, is now under Jenkins’ Remagine label where attendees can relax, have a beverage, eat and paint—the main activity during a roughly two-hour-long session. Jenkins said she leads a class of about 30 during an event at the clubhouse in the Mountain Falls master-planned community on the first Tuesday of each month. She is also available for private events such as birthday parties and other venues. The cost of the event is roughly $25-40 depending on what medium she is having people work on, something that shifts each month. Jenkins said she added onto what former owner Toni Wombaker was doing. At the monthly event that Jenkins leads, attendees can get water and tea, which are included in the cost of attendance. Additionally, those who attend can also order drinks or food while they paint from the wait staff in the Grill Room. Richayne has received support from her husband and family with her new venture. Jenkins practiced instructing family members before launching her venture, including her mother, Shirayne Waite, and her 84-year-old grandmother. Waite has attended the last two classes her daughter instructed at Mountain Falls in March and April. Jenkins does try to guide those who are not familiar with the canvas. Jenkins, a native of Las Vegas who moved to Pahrump 14 years ago, said she is self-taught with her artistry that she began in her youth. From there, her experience spread to working on the side of Pac Man machines, repainting them. She then went on to pin-striping cars. “Then, I found my love for wood, and I would restore antiques—not painting them, but completely restore,” Jenkins said. When Jenkins had children, she stopped painting, she said. But now that her kids are grown, and she’s retired from the Teamsters, Jenkins said she gained more time. Jenkins said she is able to do her work as an artist because of her husband, who is a retired operating engineer who is disabled. “Because of him, I’m able to do what I want to do, and he encourages it,” Jenkins said. Jenkins, a fourth-generation Teamster, also has another venture where she works on painting furniture. In between her “paint and sip” parties, Jenkins works on restoring furniture and painting commission pieces. “Right now, it’s word of mouth, and I’m booked until the end of June for furniture,” Jenkins said. Jenkins said her work varies by piece but some can range into the hundreds. 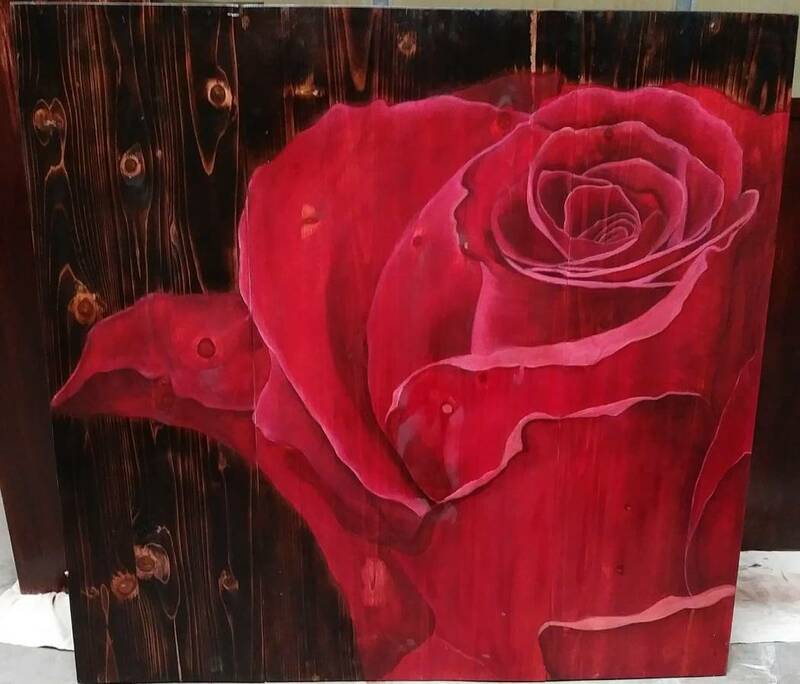 She was recently recognized for one of her pieces during the 2018 Fall Festival in Pahrump. For more information on the “paint and sip” party at Mountain Falls or Jenkins’ other ventures, visit facebook.com/byRichayne or email remagine4@gmail.com. More information can also be obtained by calling 702-860-7051.